Remember those creamy orange Creamsicles from childhood? They were my absolute favorite frozen treat as a kid. The only thing not so dreamy about those creamsicles are the high sugar content, artificial coloring & flavors, and goodness knows what else is added to make up the beloved frozen treat. 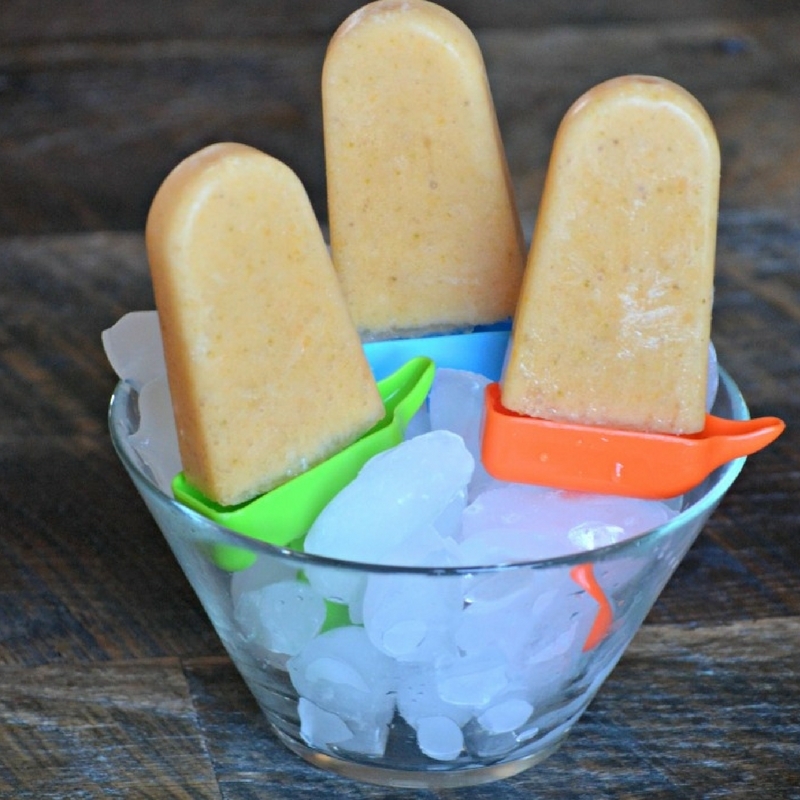 Enter kombucha dreamsicles. My solution to enjoying creamsicles. These kombucha popsicles are packed with super healthy ingredients that are all good for you. Yep, every single ingredient get the green light on the highway of health. Best of all, they are dreamy good and insanely easy to make. Receive a Free Gift in your inbox! Subscribe to receive my latest recipes to your email for simple & healthy global cooking inspiration! You have successfully joined the Culinary Butterfly community. Check your inbox for your free gift! Taste just like the Dreamsicles from childhood without all of the sugar and unhealthy ingredients. Pour into popsicles molds and freeze.